As I walked through the shoe section, slide sandals caught eye and I realized how these have become a pretty big trend since last summer. 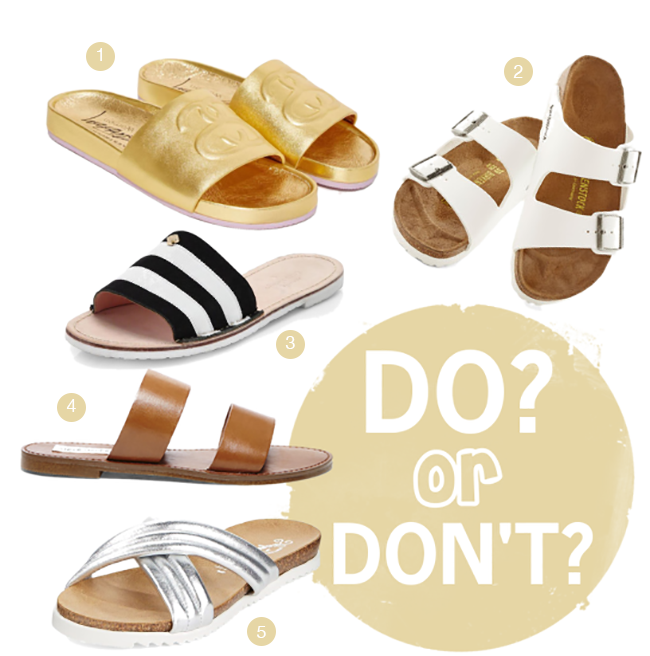 There’s definitely a few questionable styles I wouldn’t wear (such as #1 above- not my style!) but for the most part I think they’re a cute alternate from the boring ol’ flip flop. Even the Birkenstocks (#2) are really cute! What do you think– DO or DON’T?